We work with the general public as well as museums & historical societies. 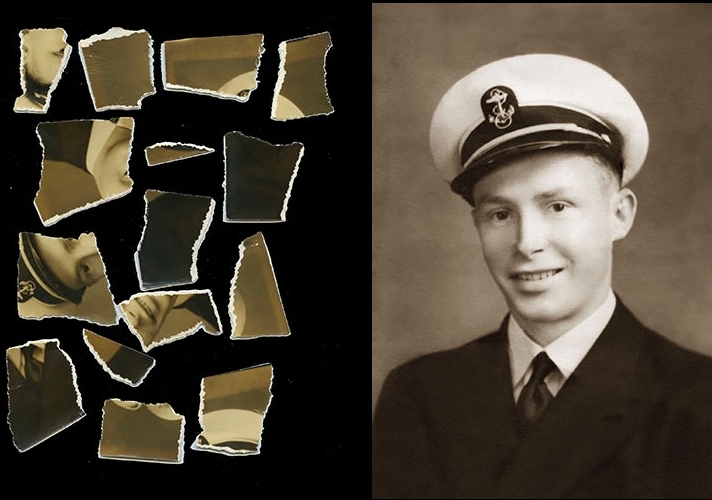 We repair minor or severely damaged pictures, whether faded, stained, torn, missing pieces, bad color, water damaged. 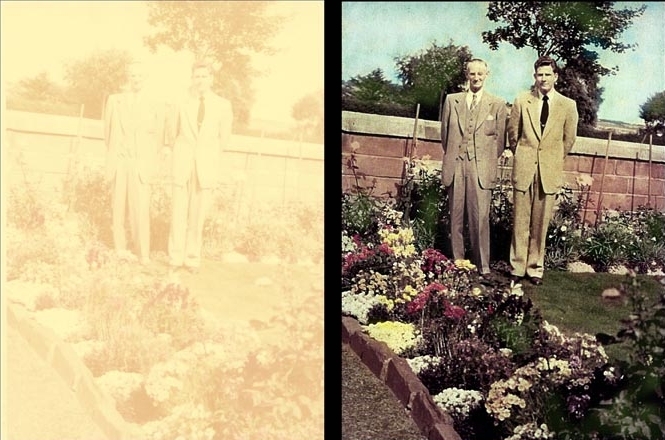 We can work on original photographs or digitally restore your images. We can even improve your photographs that are not damaged, but were never that good to begin with. Such as photos that are too dark, too light, far away, grainy or a little out of focus. Although we cannot make them perfect, we can usually double the current quality to make them look better. 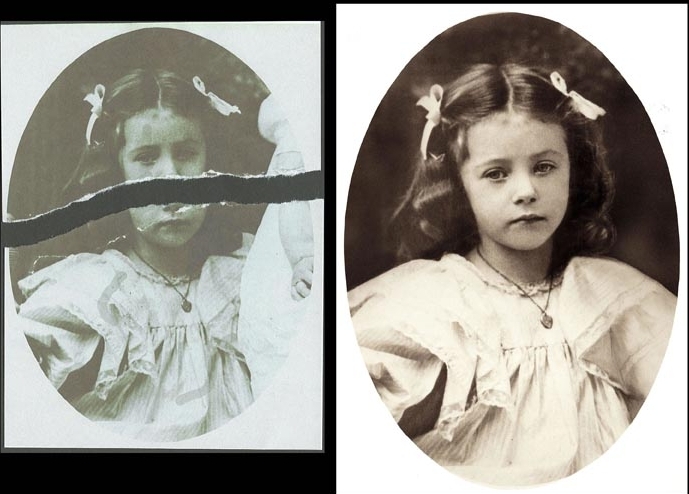 We can also just copy photographs that don’t need restoration. The new prints we make for you will be on archival quality papers guaranteed not to fade, discolor, or mold for 100yrs. We offer very reasonable prices and quick turnarounds. We can send a Federal Express prepaid label to ship your photos to us. Call Mark for a free quote. 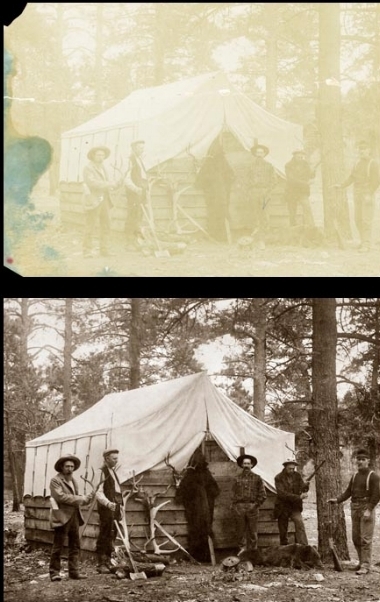 In addition to working on photographs we also work on all sizes of negatives, slides documents, Tin Types, Glass Plate images, Daguerrotypes, Ambrotypes, Calotypes. We can color correct and repair the damage. 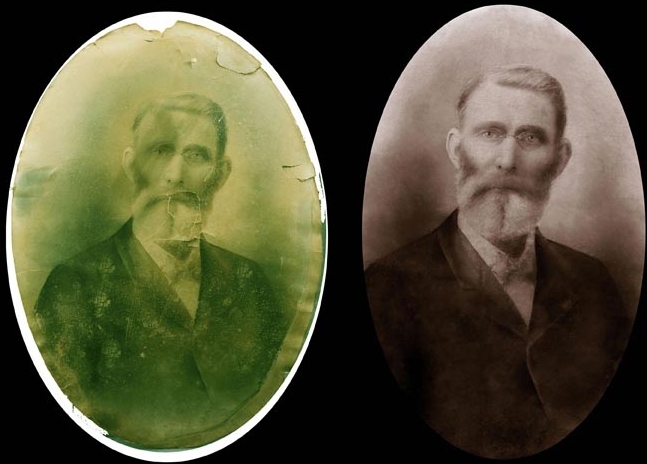 We can fix faded photos and repair the damage. We can remove people and repair the damage. 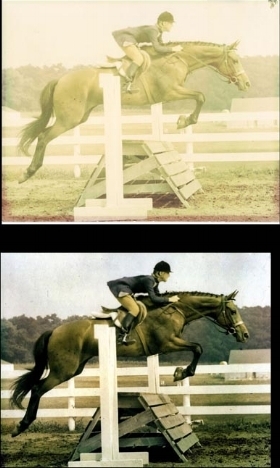 * We can add color to black & white photos. * We can add or remove people. 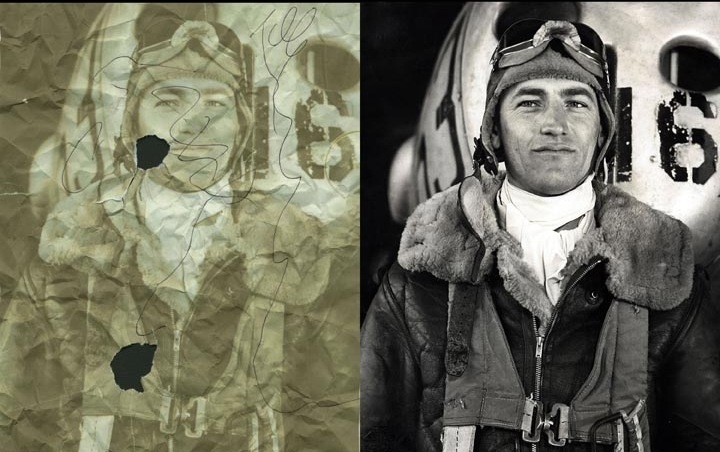 * We can copy the old photographs for clients who do not need any repairs. * We offer quick turnarounds. *We use archival quality papers that will last over 100 years. Call us to request a Federal Express label. You can use it to send your items to us. We can put photos and slides to DVD. We can repair old 8mm/16mm movies and put it on DVD or external hard drive. We can repair VHS videos and transfer to DVD or hard drive. Please scroll down through our website to see samples and info of our services. For clients who have us restore their photographs or other items, but cannot visit us in person, we will provide a shipping label by Federal Express. This includes all photographs, documents, films, or videos. 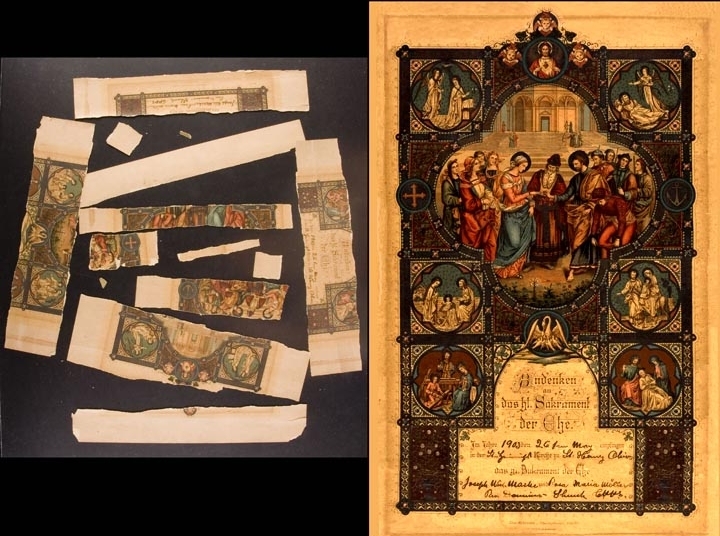 For clients that decide that they are not ready to restore their items or photographs with us, we will provide a free estimate and answer any questions they may have. All clients are responsible to cover all shipping costs. We will respond within 24-48 hours, usually the same day, we can provide a written quote. Just contact us by clicking on the contact us button at the top of any page and send us an e-mail requesting us to call you or the address of where to send the Federal Express box and a general description of what type of project you have. We can provide you with a e-mail sample image (after a 50% deposit) of your photo after we are done restoring it for you to see before we Federal Express your final copy back to you. 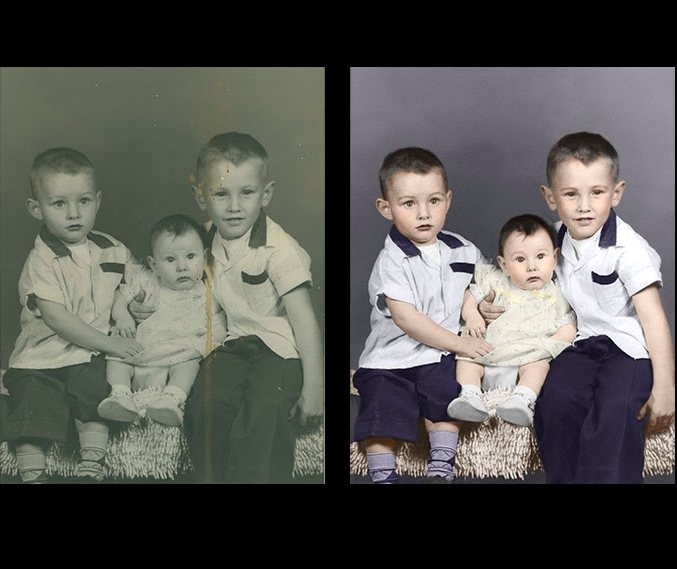 This is a great way you can see if you want us to make any additions to your restoration before we ship your final images. Call Mark the owner for a free quote 888-943-1449. We are open 7 days a week 9 a.m. - 9 p.m.
We will digitize & convert your old 8mm & 16mm home movies & put them on DVD or a hard drive with music. We offer fast turnarounds most orders in only 5 days. Our services can include cleaning your old movies, to improve their quality, then digitizing & enhancing their color, tone, contrast & clarity to make your old movies look great like they did when they were first made. We can email you a short clip of what your old movies will look like, we have very reasonable prices. We can send you a prepaid Fedex Express label to ship your old movies to us. We have been restoring old movies for over 30 years & do work for the general public as well as many museums & historical societies. Our DVD's are archival quality discs each guaranteed for 100 years. and background music or your own narrating. We offer Federal Express shipping for clients who have us convert their old movies to DVD or VHS. We will send you a self addressed Federal Express label, then you simply place your old movies into a well packed box, put our prepaid Federal Express label on the outside, & give the box to Federal Express. Federal Express will then bring it to us. When your project is done we will ship everything back to you via Federal Express. For clients that decide they are not ready to restore their items or photographs with us, we will provide a free estimate and answer any questions they may have. Clients are responsible for all shipping costs. and you will receive all your originals back at the end of the project. photo restoration, photograph restoration, damaged photos repaired, damaged photographs repaired, photograph restore ,photo restore, restoring photos, restoring photographs, retouch photos, retouch photographs, retouching photos, retouching photographs, repair photos, repair photographs, picture restoration, restore picture, restore photograph, restore photo, restore pix, restore faded photo, restoration faded photograph, restore water damaged photograph, restoration water damaged photo, restore water damaged photograph, restoration water damaged, photo restore fire damaged photograph, restore fire damaged photo, restore torn photo, restoration torn photo, professional photograph restoration services, professional photo restoration services, digital photograph restoring, digital photo restoring, digital photograph restoration, old photograph restoring, old photograph restore, old photograph restoration, photograph restoring professional services, digital photograph restoration, digital photo restoration, faded photograph restoring, faded photo restoring, water damaged photo restoration, water damaged photograph restoring, water damaged photograph restore.